If you don't make much money or if the rising cost of gas and food is getting to you, you may be looking for ways to save money on groceries. It is important to really begin to consider the difference between necessity and luxury when times get tight. You may also choose to tighten up your spending habits simply to get out of debt or to save more for retirement. 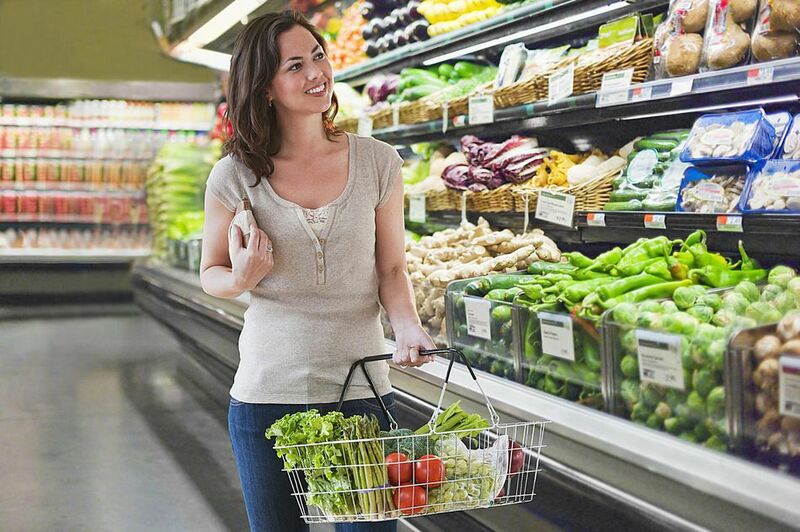 One of the easiest ways to save money on food is to reduce the amount you spend at the grocery store. These ideas will help you without using up as much time as extreme coupling. One of the easiest ways to save money on groceries is to buy the items that are on sale each week. If you know that you will use a certain item quite often, then stock up on it. You can freeze most meat at least three months safely. Paper products and other items have a much longer shelf life. You may want to carefully consider the amount of produce you buy, but you can shop the sales by buying whatever is on sale that week. A price book helps you save money on groceries by tracking sales patterns, and the lowest possible price of an item, so that you know the best time to stock up. Additionally, the sales go in cycles, and you should be able to tell how much you will need to buy until the item goes on sale again. You can make your own price book with a notebook or three-ring binder. Write the item on the top of the piece of paper. Then list the price and store that you can find it at. List the price per ounce instead of price per unit. This will help you to determine how much you really are saving. Once you’ve started a page, look at your sales circulars each week, and write down the items that are on sale, then the cost of each item. You can use this to compare them to the prices at warehouse clubs to see the lowest price at any store. You will save a lot of money on groceries if you have a shopping list with you. It is important to stick to the list and to make sure that you bought everything on it. This will prevent you from making an impulse purchase, and help you to avoid return trips to the store because you forgot an item. A trip to the store to pick up something you forgot usually means that you buy several items you did not need. A list can really help you to save money and time. If you plan your menus a week or a month in advance, you will be able to take advantage of sales and bulk buying opportunities. It will also prevent you from eating out. You may find that you can cook similar main dishes all on one day, and then freeze the others for later. This will help on days that you don’t feel like cooking. You can also plan your menus around your store’s weekly circular, which will help you take full advantage of the store's sale prices. If you do not want to plan your own menu, you can purchase menu plans online. Many of the plans cost around $5.00 a month and will save you more than that at the grocery store. You really can save a lot of money using coupons. The best way to do this is to match the items that are on sale to the coupons. You can find great advice on how to do this at www.couponmom.com. This site provides a list of sales items and matching coupon items for the stores in different regional areas. If you are careful, and only buy what you will need and use, then you can add ​significant savings to your grocery bill. You can save a lot of money by switching to store brand goods or by buying the brand that is on sale. You may be surprised at the quality of the store brand goods. It is important to realize that many of the items are made and packaged in the same factories and plants as name brands. The stores do not have the high cost of advertising and can pass the savings on to you. You can also buy groceries online. How Much Does Eating Out Really Cost You?